Toasted peanuts. Toasted peanut cream, also known as “maní”, is a product of the highest quality made of toasted peanuts (96%). It is made with a selection of the very best organic peanuts, which are first pasteurized and toasted. The production process is carried out under the strictest conditions for quality control and supervision (with the quality certificate ISO 9001). Peanuts, which originate in America, have been a part of the Mediterranean diet for many years now alongside the local fruit and nuts. Peanuts provide a good dose of energy in the form of calories and protein as well as monounsaturated fatty acids, which help regulate cholesterol. They are the nuts with the highest content of folic acid and vitamin B3. 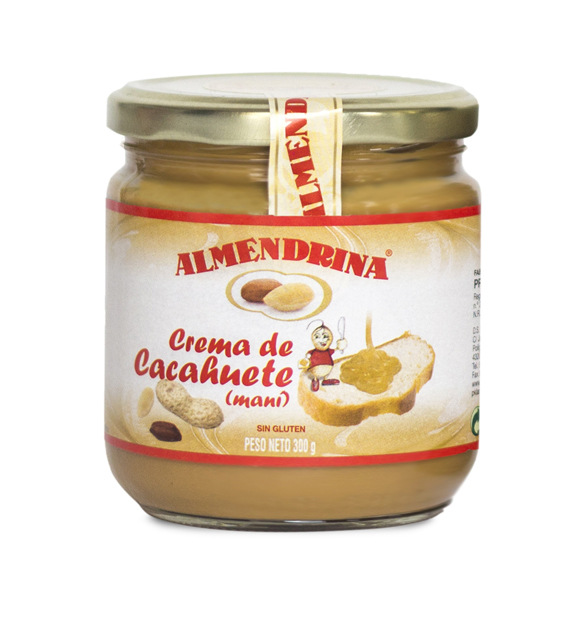 Almendrina peanut spread is of vegetable origin and therefore appropriate for vegans and for people who are lactose intolerant. 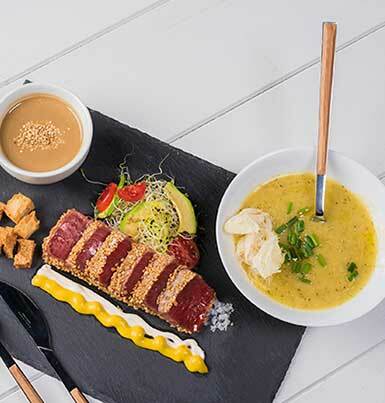 It is especially recommended for athletes, pregnant women, growing children and people with cardiovascular problems. Allergy information: may contain traces of other nuts and sesame. Peanuts (96%), sugar, vegetal fats and salt.